It’s officially 2015 and what does a New Year bring? New goals, of course. It’s the time of the year when people download apps to help them set goals, make lists and set reminders to track the progress of their New Year’s resolutions. A New Year is a fresh beginning; it’s the time we get a second chance to learn from our past mistakes and look forward to a do-over. Maybe you want to lose weight. Maybe you want to organize your closet. Or maybe you are like many other Americans and you want to spend less and save more this year. According to Statistic Brain setting a money goal is the third most common New Year’s resolution after losing weight and getting organized. If you set money goals for 2015 but don’t know where to start look no further because you can start right here – right now. I can’t help you lose weight or organize your sock drawer, but I can help you get your money right because that’s what I do! So let me help me achieve your money goals in 2015. If you’ve ever whipped out your wallet, made a purchase and walked away with a lovely bag full of stuff but an awful feeling in your gut, then maybe you’re overspending. Don’t worry, we’ve all been there. I’ll let you in on a little secret, even financial professionals make money mistakes. The important thing is to learn from your mistakes and adjust the rest of your spending to make sure you stay on track with your predetermined monthly “Should Be” spending number. One of the most common reasons people seek the advice of a financial coach is because they want to save more. I always tell my clients “there’s no secret to saving money”, all you have to do is spend less. The reason everyone’s not successful at saving is because they cut expenses in one place just to spend their savings somewhere else – big mistake. All you have to do is automate your savings to pay yourself first. Trust me your savings will quickly add up right before your eyes. Investing is one of my favorite things about financial planning. Once you get into the regular habit of spending less and saving more, you can move on to investing wisely. Many people think that saving is investing but in the world of financial professionals they are two different things. Lots of people avoid investing because they think it’s too risky, but the truth is there are a ton of investment options out there. Whether you have short or long term goals, there’s an investment out there for you. All you need is a good financial coach to guide you on the right path. 2015 may be your year to become debt free. Sometimes (well actually most of the time) debt statements can be overwhelming. All we see are high balances and low payments, but that can stop right now. 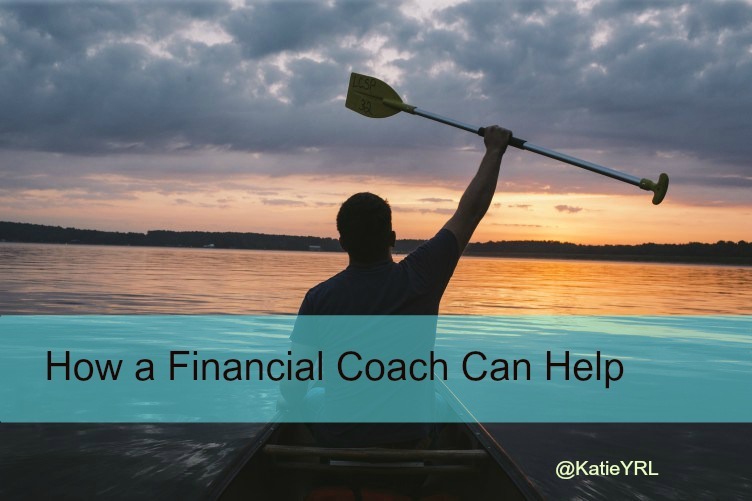 Seeking the advice of a financial coach can be the best thing you ever did for your finances. So many people think that financial coaches only cater to the wealthy and we spend our days investing millions of dollars. The truth is everyone can benefit from financial advice – especially if you’re juggling priorities. A professional will help you prioritize all of your competing goals, balance spending with saving, and make a plan to reach your financial goals. Just think of all the other things you could be doing with your money if you felt more confident about your financial priorities! Now that’s financial freedom!